Basic fMRI Design and Analysis Using SPM is a 5-day workshop designed for investigators having familiarity with the fundamental principles of fMRI measurement and design, with some experience in functional neuroimaging data acquisition and analysis. The strongly interactive workshop will focus on using SPM12 and its extensions for preprocessing, statistical modeling and visualization of data associated with a range of basic and clinical fMRI experimental designs. The fundamentals of analyzing both task-related and resting state data will be covered. While the primary emphasis will involve using the core SPM12 programs for these purposes, there will also be extensive discussion of a variety of software tools that extend the power of SPM12. Some of these tools facilitate fMRI quality assurance through artifact detection and mitigation at various analysis stages. Other tools support a variety of data visualization methods, including MRIcron, xjView, FSLview, and FreeSurfer. This course is appropriate for investigators who have had some experience with previous versions of SPM. As mastery of the topics presented early in the week is needed to maximally benefit from the material presented later in the week, we encourage all participants to arrange their schedules to make it possible to attend all the classes. In addition, please reserve 1-2 hours each evening to complete the homework assignments. The course is sponsored by the Wisconsin Alzheimer’s Disease Research Center Neuroimaging Group. 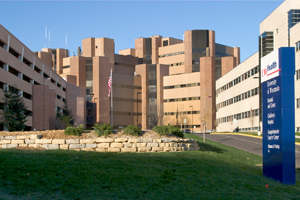 It will be held August 18-22, 2014 in the Health Sciences Learning Center, Room 1309 the Clinical Science Center at 675 Highland Avenue in Madison, WI. The fee for the program is $1500. Reduced rates of $1250 for post-doctoral fellows and $1000 for undergraduate, graduate or medical students are available. For further information about the course, please contact Ozioma Okonkwo, PhD, at ozioma@medicine.wisc.edu. Accommodations: There are hotels available nearby in Madison. Lectures will be given by Tom Zeffiro.